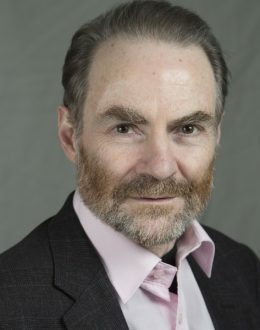 Timothy Garton Ash CMG FRSA (born 12 July 1955) is a British historian, author and commentator. He is Professor of European Studies at Oxford University. Much of his work has been concerned with the late modern and contemporary history of Central and Eastern Europe. He has written about the Communist regimes of that region, their experience with the secret police, the Revolutions of 1989 and the transformation of the former Eastern Bloc states into member states of the European Union. He has examined the role of Europe and the challenge of combining freedom and diversity, especially in relation to free speech. In the 1980s, Garton Ash was Foreign Editor of The Spectator and a columnist for The Independent. He became a Fellow at St Antony’s College in 1989, a senior fellow at Stanford University’s Hoover Institution in 2000, and Professor of European Studies at the University of Oxford in 2004. He has written a weekly column in The Guardian since 2004 and is a long-time contributor to the New York Review of Books. His column is also translated in the Turkish daily Radikal and in the Spanish daily El País, as well as other papers. Honours he has received for his writing include the David Watt Memorial Prize, Commentator of the Year in the ‘What the Papers Say’ annual awards for 1989, the Premio Napoli, the Imre Nagy Memorial Plaque, the Hoffmann von Fallersleben Prize for political writing, the Order of Merit from Germany, Poland and the Czech Republic, and the British CMG. In 2005, he featured in a list of 100 top global public intellectuals chosen by the journals Prospect and Foreign Policy, and in Time magazine’s list of the world’s 100 most influential people. In 2006, he was awarded the George Orwell Prize for political writing.